I call them color’em crazy bottles. 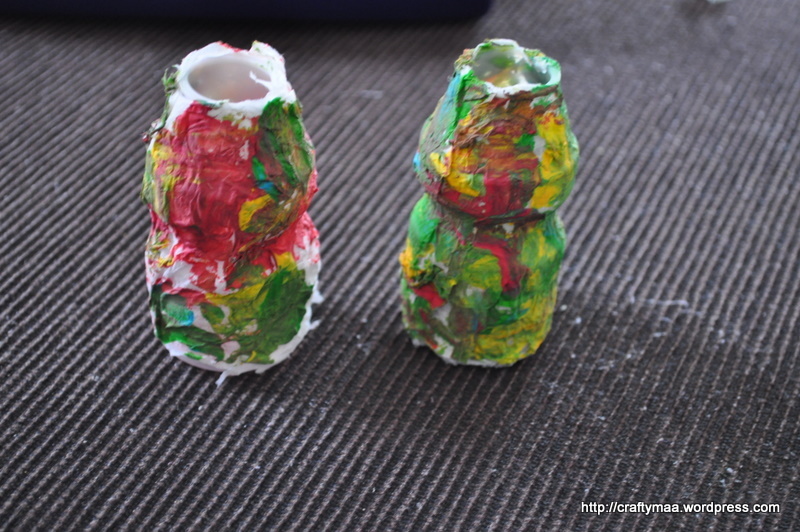 First we stuck torn tissue paper bits on the yogurt bottles and let it dry for a couple hours. Then I let Ms.Aadya go crazy with paint.. And I love the result! Next Post Letter to a 2 month old..